It's raining soccer balls perpetually in this seamless video loop. Awesome for sport nights and soccer themed media sets. This video loops inspires to combine and create more, amazing footage to have at your command. 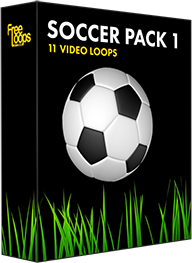 This video loop is part of Soccer Pack 1.